Today is Memorial Day, the date we honor those service men and women who have given their lives in defense of their country and freedom. Take time today to honor our fallen heroes. Our world would be a far different place without their sacrifices. Memorial Day Observances will range from parades to memorial ceremonies and organized moments of silence. 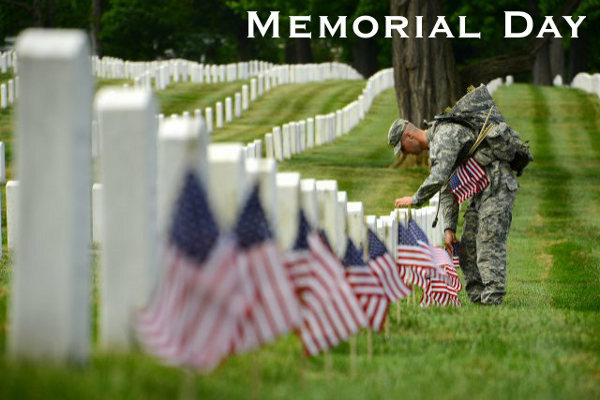 The Memorial Day National Moment of Remembrance honors America’s fallen warrriors. Established by Congress in 2000, the “Moment” asks Americans, wherever they are at 3:00 p.m. local time on Memorial Day, to pause for one minute, in an act of national unity and respect for the fallen. Share the post "Honor our Fallen Heroes This Memorial Day"